Replaying Dead Rising re-awoke me some nostalgic memories about my first time playing it. In the game you can pick up pretty much every item and throw them at enemies; guns on the other hand go into an aim-mode instead and cannot be thrown. Paul is an optional survivor you can save if you quickly use a fire extinguisher before he burns to death. In my haste in saving this poor sod I assumed this item would function like a gun and would go into aim-mode. Imagine my surprise when Frank hurled the fire extinguisher at Pauls face instead. Oh how we all laughed about this little mix-up. Well except Paul that is. 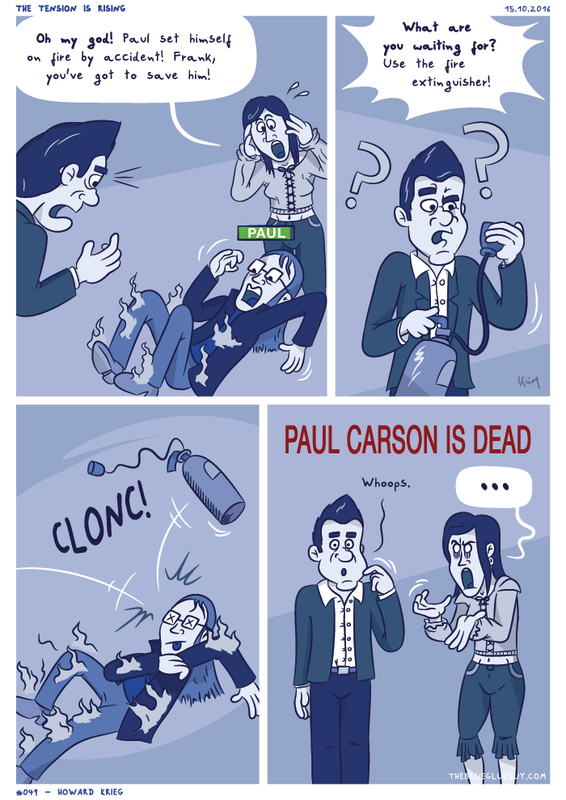 Paul died that day.